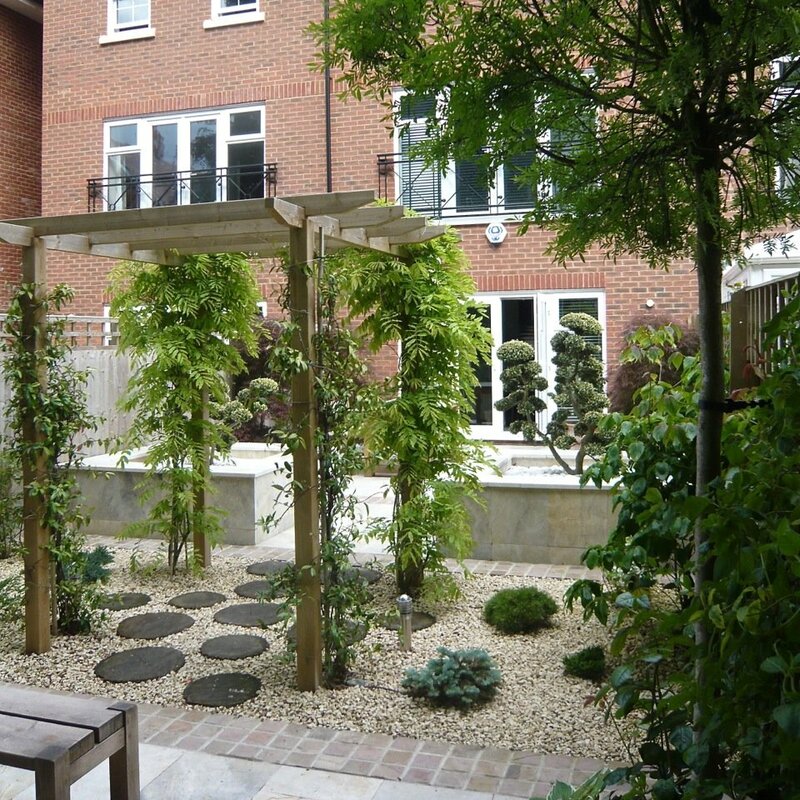 A simple Japanese style garden on a smart new estate in Wantage. 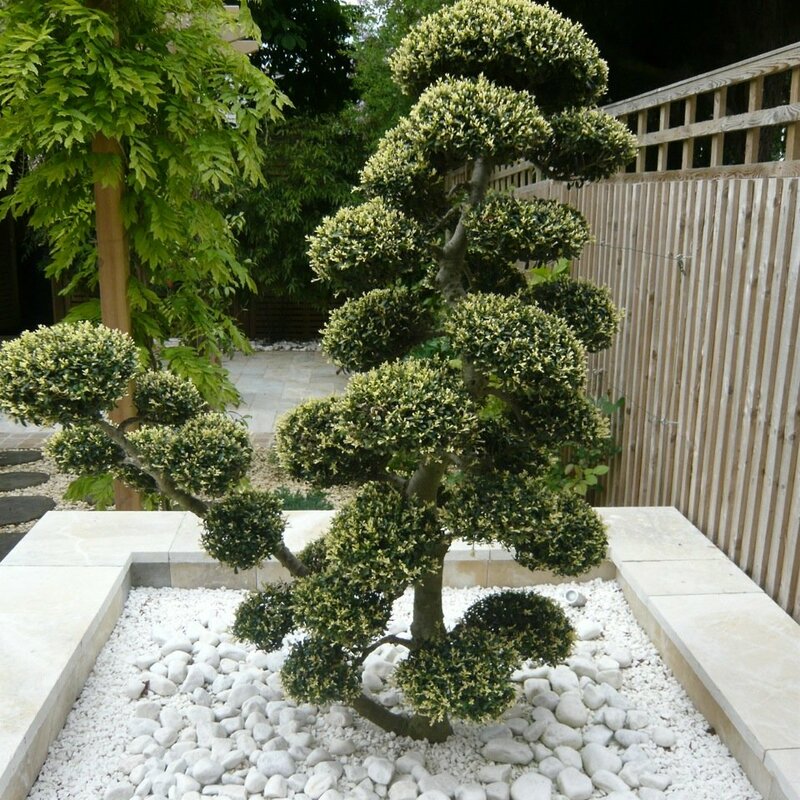 My clients adored the controlled minimal style of Japanese gardens & wanted something similar for themselves. 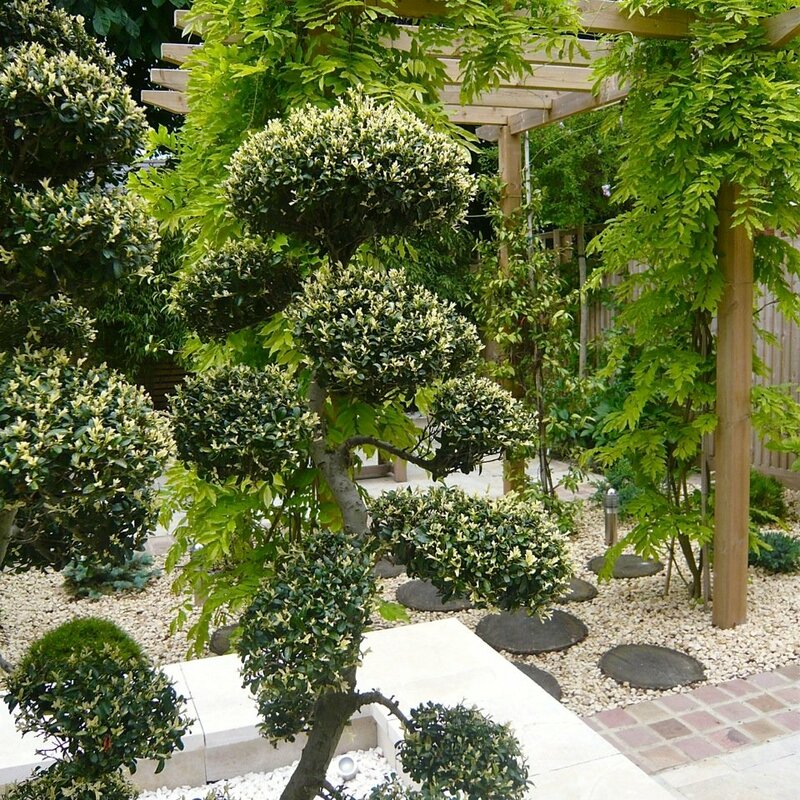 Starting with a blank canvas, the stylish design incorporates cloud pruned topiary, bamboos, purple acers, & a smart water wall. 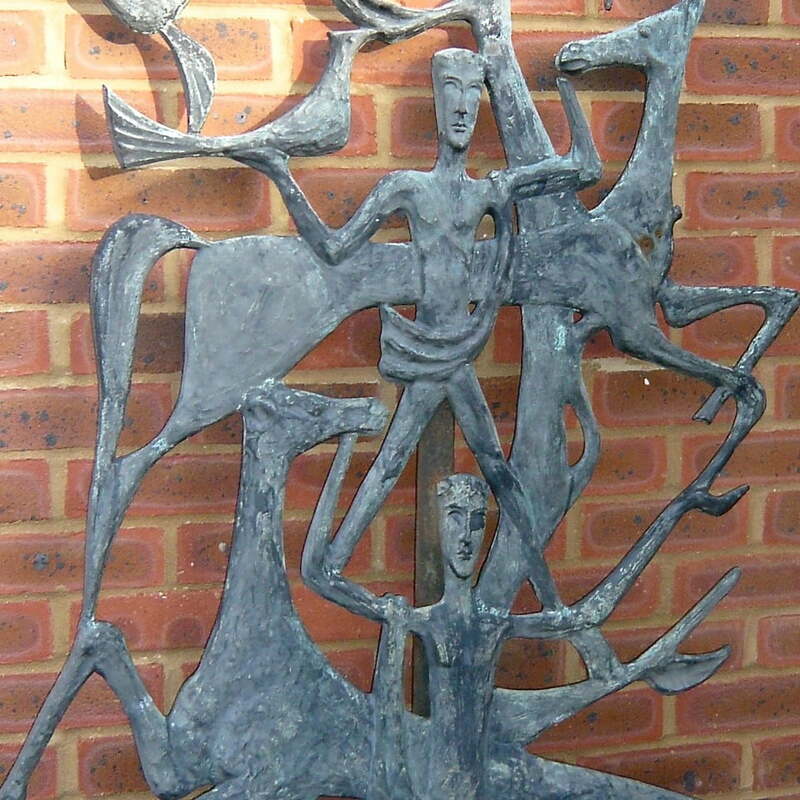 Kirsten had found a fantastic sculpture at a junk shop which It coordinates with their interior of classic Danish pieces. 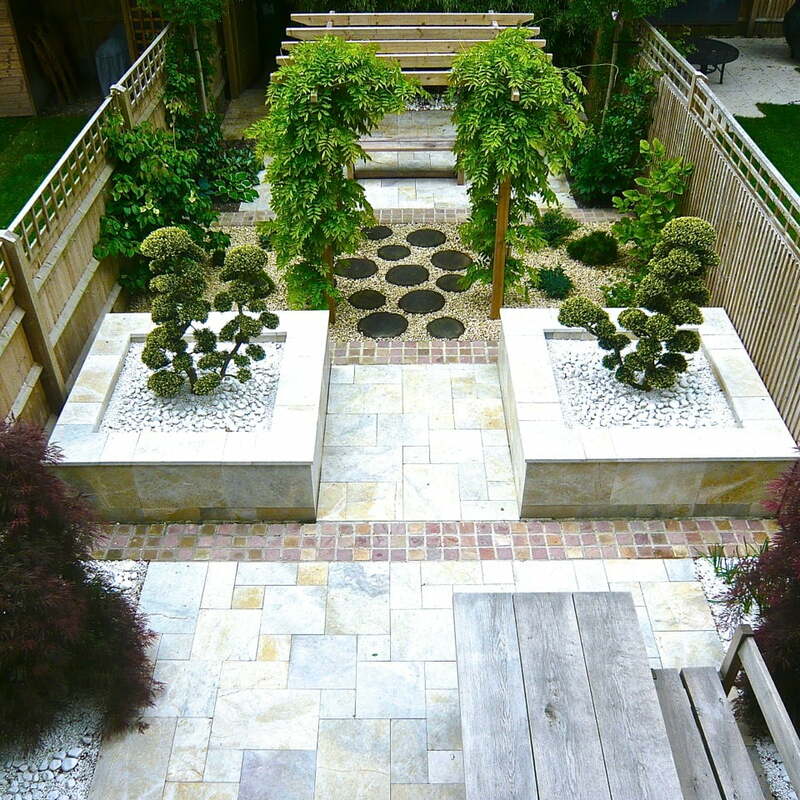 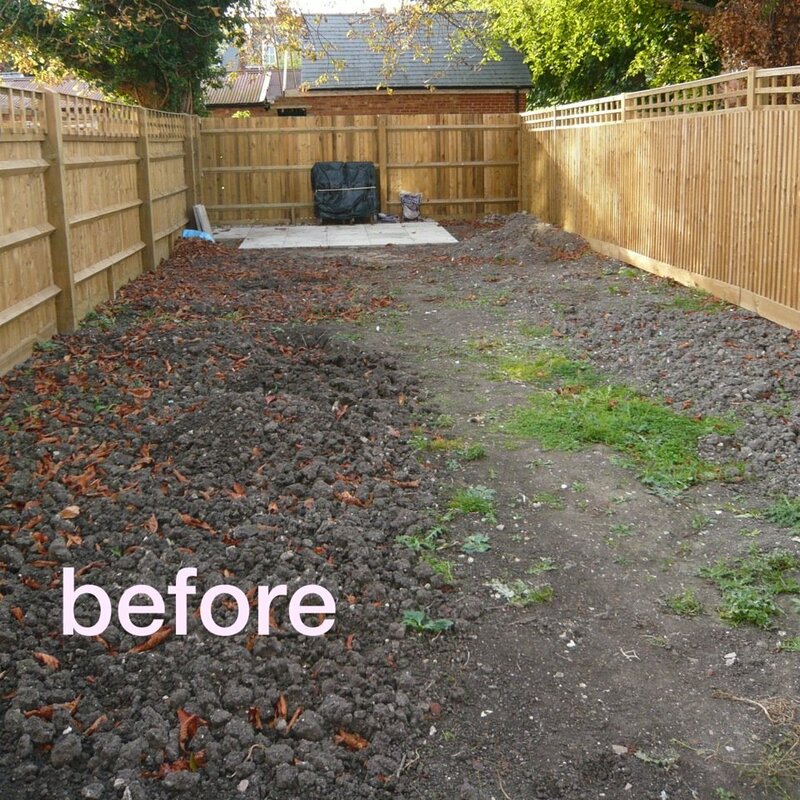 This garden works perfectly whilst they are in town & can be left when they leave for their summer house abroad as it is low maintenance with a times irrigation system.